The social highlight of the club season within the county is the annual Club Stars bash and the date has now been fixed for this year’s event. That date is Saturday, 8th December and the venue, as usual, will be Knockranny House Hotel in Westport. This year’s Club Stars event is being produced in association with the Mayo News, AIB and O’Neills, along with charity partner the Mayo Roscommon Hospice. Central to the Club Stars event every year is the announcement of the Team of the Year and the 2018 nominations will be revealed in the Mayo News next Tuesday. Seeing as I got to see some club football myself this year, I’ll be doing a bit on those nominations here on the blog after the announcement is made. The Club Stars event this year also provides us with the ideal end-point for our club championship series on the Mayo News football podcast. We’re still sorting out precise details on this but the rough outline at this stage is that we’ll do a podcast episode in advance of the event looking at the nominations and then do another one afterwards, where we’ll be reviewing the Team of the Year and speaking with a few of the winners at the event. Tickets for the Club Stars event will be going on sale soon and I’ll provide an update here when that happens. Should be some interesting club stars this year with new champions and Ballaghadereen making the quarterfinals. Thanks for the heads up Willie Joe I’m looking forward to the nominations. Westport Brigids Connaught minor A final at 8:30pm streamed. Check Connaught Gaa twitter for details. Thanks for the heads up WJ. Looking forward to the nominations and the winners. I hope it wont be like the ALL STARS team picked yesterday. What a load of CRAP. I thought it was picking the best players who played in their positions from no 1 to 15. When you see Cavanagh at Full Back? Mannion at Midfield? etc. Its a joke. Its now like everything else “Positions for the boys”. Scandalous decisions. It would make alot of Mayo men sick tonight watching the All Stars all about the Dubs and a smirking Jim Gavin in the crowd, Hopefully this will drive us on to win Sam and spoil the Drive for 5 cause lets be honest we are the only team capable of beating the Dubs if we can just find a bench strong enough to go toe to toe with them in the last 20 minutes.No doubt that JH will have us ready for them next year and if we can unearth 3 or 4 new players from the ongoing trials it would be massive. Westport beaten by a point. Terrible conditions but despite that they didn’t play that well at all. Brigids moved the ball better. On top of this the Westport goal was a pure fluke…long range effort which he keeper let between his legs, comedy stuff! Most Westport players had their fifth game in the last two weeks tonight. They looked very leggy with no zip. Best side won that minor final tonight and probably should have won by more. Good effort by Westport nonetheless and did well to reach the final by beating a good Salthill side but Brigids the defending champions was a bridge to far for them. JP agree lot games but least it’s not as bad as when competition first started 3 years ago. Think knockmore had play 2 or 3 days in row to win B title. Late Friday night Saturday lunch and possibly the Sunday again. It’s more a novelty competition but it’s a nice touch to end year might be better as a blitz over one or 2 days. Good year for Westport winning minor championship with knockmore claiming league honours against them. Think only U21 championship to go and U15 finals (Knockmore v Ballina in A final) before underage over for another year. What time are Mayo trials today?? @JP & @Gizmobobs the minor championship was as competitive this year as it had been for many a year. Nice to see teams really put it up to the “bigger clubs”. Some really exciting games throughout and an entertaining county final. Very true take your points. Knockmore went out by 2 points to Covies in quarters but won league easy against them. But Charlestown had beaten knockmore in group stage all be it with them already qualified. Parke were also quite strong as were some other teams in minor. So not as doom and gloom as some make out underage as seen by Westport then beating Galway champions with ease. 10 of the 15 knockmore players that started league final win minor again next year, with just 1 of those making mayo U17 this year so hard see how Mayo can be to far off Galway as some would have you think. Anybody know when Mayo go back to collective training? @Gizmobobs, you’d figure Knockmore should be strong at minor then next year. The other thing is that there are some genuinely strong u18s from some of the lower ranked minor teams that were not quite in the hunt for the title. John Gallagher Mayo Gaels was top scorer in the Intermediate championship. Ciaran Gavin/Jamesie Finnerty Ballintubber comfortable in the latter stages of the senior championship. Oisin Mullins Kilmaine starting with the u20s. Kuba Callaghan Ballaghadereen, strong for u18. Paul Towey and Paddy Goldrick Charlestown both looked comfortable at senior championship level. Jamie McNicholas Kiltimagh looked very mature in the Intermediate championship. Very true JP some good lads named there. Knockmore shoukd be fairly strong at minor next year maybe physically lighter than some the other strong teams tho. That can change in space of year however with growth spurts. Knockmore minors would not have played senior football this year but all 17 year olds would have played with knockmores second and 3rd senior teams in Div 4 and 6 regularly. With a good few having been on Junior A team. Will the mayo under 17 team be capable of winning an all Ireland next year? Seems like underage is very bright?? No Michael hall or Conor o Shea either. Not sure if this breaks house rules WJ – please delete if so, but’s its widely available on twitter anyway..
No worries, Larry, as you say that info is already out there. One item on James’ to-do list should perhaps be to fix that particular leak. I must admit that I fail to see why any Mayo GAA person should want to leak this kind of information, to say nothing of the useful idiot who then proceeds to disseminate it on social media. New additions M Schlingerman,Ben Doyle(Westport),Brian Murphy,M Plunkett,Cian Burke(Ardnaree),Cathal Horan,James McCormack,J Gibbons,M Ruane,F McDonagh,Mikey Murray,James Kelly,R O’Donoghue,Aidan O’Sullivan,O McLaughlin,Colm Moran,D Coen, C Treacy,C Diskin,James Carr,&T Conroy(Kiltane). Gone from last years panel M Hall,S Nally,B Moran,D Kirby,T Parsons ( injury),C O’Shea,C Hanley, N Douglas. Surprised not to see S Cunniffe,S Akram,D Cosgrove,J Reilly,B Reape,P Naughton involved. Those omissions, if true, are certainly intriguing. Looking at Akram, Hanley, Douglas, Reape – to take a few, would posters think that they are not really Horan’s type of players? Lacking some physical, or work-dog attribute? Just pondering things – if that twit(her) has got it right. Could also just be a panel released to separate individuals to see what panel hit Ah Ref and then you have the leak. Twit(terer). Thank you auto correct. Due to the early championship exit Mayo are back in collective training on November 15th. On the “new” panel hard to see more than a dozen of them making it onto the championship panel but the FBD and few rounds of the NFL is the right time to give those players a run out. Concidering, how well Niall Douglas played in his last game for Castlebar versus Ballintubber very disappointed if he doesn’t make the panel, ..Also altough he definitely hasn’t set the world on fire since his return from OZ, Cian Hanley, I would have taught that anyone with a few years experience of a professional setup would have something to offer as well….True, his skills with the round ball seemed a bit rusty, but as a Mayo Minor he had all the skill in the world and two footed to boot. . I’m sure it would come back, only a little time needed! There’s a full round of u21 club games today. I can’t accept that, DonieMac. I have NEVER leaked anything here about the team that wasn’t first published elsewhere and I have been very clear that this is not a place for people to post inside stories of that kind before they’re known publicly. In this instance, there’s someone on the inside somewhere leaking on a consistent basis to someone who clearly gets a kick out of being able to disseminate such info. That’s at the other end of the spectrum to what I do here and the kind of debate I try to encourage. Injury updates to The Mayo News come via pre-released vetted updates direct from mgmt. Tweeting out team changes morning of a match is a leak. Dont think that’s always the case JP e.g. the story on Rochford’s supposed backroom team a few months ago which was premature at best and possibly had an impact on the managerial situation. If Jack Reilly and Brian Reape are not in the top 40 footballers in the county then I’ll eat my hat. Anyone who follows club football in the county knows these players are scoring week in and week out at senior level. Looks like these trials were a PR stunt and the panel was preordained. @Tubberman, yes, agree on that particular story. I didn’t agree with Mayo News running that story and that particular story was akin to Ah Ref. But once it’s on front page of Mayo News it was on here. It did damage in my view. Had thought to bring it up as an exception. It being put out as a story by Mayo news I mean did damage. I don’t mean it being talked about on here did damage, it was already front page by then. Liam I would have to agree with you ,I watch alot of club football in the County and Jack Reilly and Brian Reape are 2 of the top forwards in the County , there totals from play in Senior League and Championship are higher than Cillians , Andy’s and Dohertys. Now looking at the reports last week Horan played Brian Reape out of position at Centre forward anyone knows he does the biggest damage nearer to goal.Jack Reilly scored 1-6 at trials and it stated he was one of the standout players at trials so I don’t really see why they have been overlooked again like they were with Rochford. Haven’t seen much of Reape but after a bright start in championship sf game, alarm bells went off for me re the way he faded out of game. Hanley impressed but needs more time imo and there will be serious competition for that no 10 shirt. Akram too is competing for a position in a very tough line at half back. CO Shea really disappointed me in club championship, for all the opportunities he has been given, he just hasn’t got that leadership streak,. Defining time for him but work required. The important thing for me is there is no shortage of players wanting to wear the green and red. I think we will see competitive teams at all levels in 2019. Not sure how much I would heed the rumours of who has and hasn’t made the panel and I wouldn’t envy his task in picking 30/40 lads. I would be surprised if Brian Reape didn’t get a chance to prove himself in the FDB. Then again JH chose to drop Tom Parsons and Aidan Kilcoyne in a previous term as manager and most people know how clever that was. Also interesting, (again if the rumours are correct), that players name checked by JH in his recent interview didn’t make the cut: Seamus Cunniffe and Shiroize Akram. Is there a kiss of death in being name checked by JH? Remember the ‘real deal’ Brian Gallagher a few years ago? I can’t see that panel being accurate. Sharoize faced several of those u22s and out muscled Matthew Ruane in championship. He’s one of the best players u21. If we’re dropping Sharoize then our development is clueless. Seamus Cunniffe did not make himself available. A number of players did not take part in the trials but are still on the panel. It looks from the outside that the trials were a cosmetic process to tick a box and give cover to new management to cut players that were not in their plans. The difficulty for Akram is that we already have, arguably, the strongest half back line in the country. Still though, he must be very close to the panel. Reape…proven to be one of the best natural scorers in the county and unlike Douglas he has age and physique on his side as well as a much stronger underage c.v.
You’d imagine Horan would see him as a project as according to anyone who has seen him play all he lacks is fitness/conditioning. Very odd if he wasn’t someone Horan wasn’t putting an arm around and setting out a precise plan for. I hope Cian Hanely plays his part next year. We can’t let one of the best and proven minors we’ve ever had simply pass on through the gap. I watched him last year . He made some mistakes but he is very good. He’s the kind of player that will make a real impact at senior level, if he’s given a proper chance. This guy was a very composed with the ball deep within the heat of the square as a minor. No reason he won’t do the same as a senior . I hope I see hs name on the panel when all the shennagins are done and it’s time for business. If Reape doesn’t make the 2019 championship panel or isn’t even involved in the league then there must be something we as supporters are not exposed to…Rochford and Horan couldn’t both be wrong. Could they? I accept the leak could be complete bull. Anyone get in any U21 games this weekend? Sounds like Bellmullet planning a good push for intermediate title. Apparently no U21 players that play senior for them played in the U21 hammering they got off Westport today. They could have good tilt at it. Aghamore didn’t play Claremorris was there hurling or why was that anyone know? Kiltimagh got a good beating 20+ I think off the odd amalgamation of St. Nathys. Sharoize is versatile. He can play half back or half forward. We have a strong half back and half forward line but several starters/subs are going to be 29 or over. We need to be putting time into their eventual bench/starter replacements. Brian Reape is big and powerful, he wouldn’t be an athletic greyhound like Diarmuid. But if that is the limiting factor then aim for him to be a big impact sub. Again, on the assumption the leak is correct surprised on Reape, Reilly, Akram etc being omitted. Only possible rationale I can think of is that Horan demands huge work rate and tackle count even from forwards. Would imagine that Jason Doc for example is Horan’s image of a perfect forward, massive work rate and physicality and maybe Reape and Reilly don’t cut it on that basis. Pure guess work of course. The surprise names for me were – Ben Doyle, Brian Murphy, Cian Burke, Aidan O’Sullivan. Anyone on here know more about these players ? Anybody got anything to report on Ballintubber v Tourlestane today? From the score is sounds like a very dour match. Surely we’re not going down the Uster defensive route in our club football? Allowing that Tourlestane, with a three in a row behind them would be a hardy outfit I would have expected Ballintubber to be a bit more free scoring than that. That result will be great encouragement to Aghawillan and if Ballintubber come through there Corofin [or Clann] will not be intimidated. @Mike, from what I’ve seen Ben Doyle has good potential as a man marker. Pacey and a strong athletic build. The others from following over the years always seemed good club players but that bit below senior div 1 inter county. If tackle count is the thing we need to re-adjust. The top teams take the ball much less into contact these days. We suffered in 2012-14 from not having an Aidan Kilcoyne pacey finisher type option. Sure who would have a list like this only a member of the backroom team. No player would be privy to this list. So who is still there that was there last year that would still be leaking? Thanks, Aidan. Mayomanontour51 – I’ve excised that bit from your comment. I’m not sure, to be honest, what kind of point you were trying to make but it’s as well to steer clear of making personal remarks about named players. I’ll disagree on a few points. – 8 or 9 proven talent under the age of 28. Well for next year u28, Harrison, Durcan, Diarmuid, Cillian, …I’m struggling after four. Proven talent. If you say u28 this year it just adds Aidan, five players. Kiltimagh were up by 4 pts for 15 mins. Then Nathys reeled them in steadily. In fact on 30 mins Nathys were leading by 4, not losing by 4. Just 5 mins into second half Nathys were winning by 10 pts. 13 mins into second half Nathys lead by 14 pts. Final score 5-14 (19 scores) v 8 pts. Let’s be factual it was not some close run thing for 40 mins until Nathys ran away in the last 20 mins. I will agree and disagree on some of the players with potential. Donovan Cosgrave I believe will play senior for Mayo and do well at that level. Eoghan Lavin and Aidan Cosgrave are the only other two currently I think will go close over the next few years. @gizmobobs & @JP Knockmore will be strong next year, as they have so many underage again next year. Think Charlestown are fairly similar with 12+ minor against next year. Plus you have the big picks of Castlebar and Westport who will always be close to the top at this level. Ben Doyle has came out of nowhere, wasn’t on the Westport team that won the U21A Final against Belmullet this time last year. Didn’t break into the westport team until Shane Scott got injured and Nial McManamon moved into midfield. He was U20 this year and didn’t make the Mayo U20 squad either. Very surprised by this choice when he has jumped over Eddie Doran and Donovan Cosgrove and his own club mate in Brian o Malley. Where is the young fullback to replace Ger Caffferkey, Brian Murphy who I’ve been impressed with Cian Burke and Cathal Horan don’t fit into this category, be interested in looking at St Nathys U21 to se how Horan has jumped over Akram. Maybe James McCormack could be transformed in to a fullback but is far from tested as he is not a specialist Remaining players in he list I have no problems with. Would have kept Shairize Akram Gareth o Donnell Sean Walsh Brain Reape Jack Reilly and Tommy Conroy “surprised he wasn’t mentioned as he has a big future” for winter training a took another look. We need to find a couple of young midfielders badly. Not sure what happened with Cunniffe who didn’t show for trails when quiet a few from Ballaghaderreen shown Was this a club decision to put names forward. What happened to Crossmolina and Swinford in trails they have no players try out. Embarassing when you see all the Junior clubs showed up and represent. Ben Doyle was on the Westport team coming up the age grades. I’ll check again, thought he played in the u21 club final. Thought he and Donovan Cosgrave were the two best u20 defenders. With those two involved it would have transformed our defence. I would have concern’s about the lack of young defenders coming through in the county.I don’t see a future full back listed on that supposed panel.I would have liked to have seen the likes of Eddie Doran,James Stretton,Seamus Cunniffe,Kevin Lynch(Mayo Gaels),Donovan Cosgrove and Sharoize Akram among that list.James Kelly might be worth a look at full back as he impressed as a defender on the all Ireland u21 winning team in 2016.He has a hard edge about him that is needed at county level. Ben Doyle did start the u21 final v Belmullet last year.He was corner back. Speaking to one of the established players who was not named on panel and he was indeed let go. As for how info may get out every club and county team has a whatsapp group. When names are added or removed it is very obvious. So all 46 players would know who is on / off the panel. I watched O’Sullivan a while back in action. I am not a bit surprised if he got a run. Needs honing and time but the potential is there in my opinion. So are you saying REDCOL that the those listed on Twitter can now be taken as reasonably accurate? Would love to know who that ‘established’ player is, but won’t ask!! It’s a bit pointless to debate the levels of accuracy. I heard of a player not listed that is still involved. Is that the only one or is that one of another 5, we won’t know. 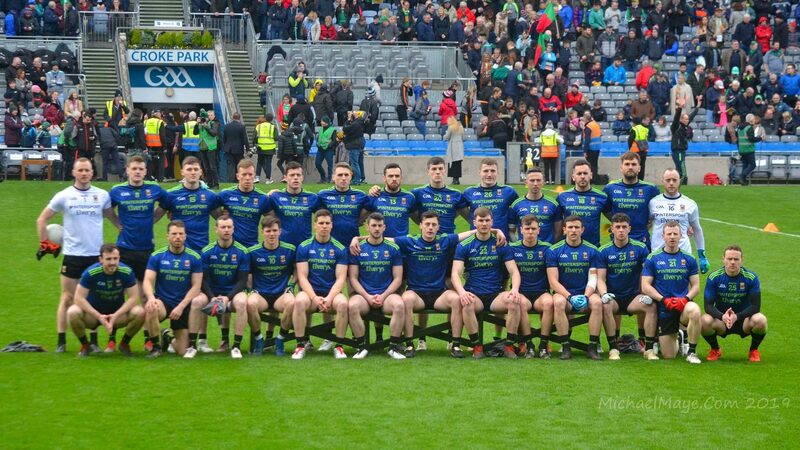 Have been very quite for a while, as i am living outside the County, not into the club scene in a big way in Mayo, the Dublin final was very poor with only Paul Mannion showing his Credentials. One earlier poster is looking for a replacement to Ger Cafferkey at full back, let me say this, there should be any number of young guys that could do a better job, with a bit of guidance. Some posters appear not to like guys being allegedly dropped from the panel as a result of the recent challenge matches, its very plain and simple, if a player is not well on top in these handy games then there is no hope of an appearance in the very competitive Allianz league. Mayogodeo … aka Mayomanontour51 aka Johnmc123 aka Ontherunsince51 aka gizmo aka Mayoman6089 – can you please settle on one handle when posting here and not keep hopping from one persona to another? You’ve used all six I’ve just referenced in the last month alone. I’m not going to allow you to post here again until you confirm that you’ll do this and under which of the half-dozen handles you’ve been running. That’s grand, Mayogodeo, it’s just it can be hard to keep up when people adopt multiple personas! Castlebar will beat Kiltimagh comfortable I think. Castlebar beat Louisburgh by 9 pts. Louisburgh are a solid side around Kiltimaghs level. I think Westport are just too strong this year and next year also. Paddy OMalley, Ben Doyle, Brian OMalley, Rory Brickendon, Emmett Rowley, Paul Lambert, Niall McManamon, Fionn McDonagh, Oisin McLoughlin, Killian Kilkelly, Colm Moran, Alan Kennedy, Pat Lambert and Mark Moran. Strong players and good subs. Agreed JP, on paper they should be to strong this year but same could have been said at minor this year. Won championship but not as convincing as would have expected. Lost league heavily to ourselves and could have beaten them in championship. Be interesting see if they stay course next few years as they have some serious talent. Westport minors lack a fielding midfielder is one major thought. That was how Parke came close to winning, Jack McLoughlin and Ronan Reilly started to catch like 4 out of 5 kickouts in the second half and penned in Westport. I haven’t seen Nathys, but looking at their team I don’t think they have enough outside of the six players Sharoize, Darragh Kelly, Luke O’Grady, Cathal Horan, Kuba Callaghan and Kane Philiips. If Westport kicked long all the time on the kick out then Nathys have a chance as no one will beat Darragh Kelly and Luke O’Grady in the middle. They’re too tall and strong. What about David Drake as a full back?? I know he’s a bit raw on the ball but have heard people praising his defensive man marking attributes on here recently. He’s an ideal build physically for the position. I’m not sure he’s a good enough ball player (ie composed enough in possession) to play at intercounty level further out the field. But if he was coached as a specialist full back and had two natural footballers either side of him in corner back positions like Harrison and Higgins, it could make a quite effective full back line? EOD also a contender for those positions of course, though I’m yet to be convinced that he is as polished as Harry or Higgins, especially when in possession. You could make the valid case that David Drake looked the most senior level full back in the club championship. Eoin O’Donoghue I think is more composed in possession than Brendan Harrison. He’s a better man marker in my view than Keith Higgins. I’d be with you on all of that JP. Eoin is an excellent man marker, and while Keith has many great attributes he’s a tendency to wander away from his man at times. If you look at the Goal limerick scored against us in this years Championship, Keith was a mile off his man for that one. That’s not to take away that Keith is exception in a lot of other areas that makes him first choice for a starting spot still. Still, the All-Stars’ selection committee thought Keith ok. He certainly is Catcol – his tendency to wander is the only criticism I could offer of the man. It hasn’t done too much harm over the years to be fair. Lack of composure on the ball? That’s probably EO’D’s strong point. Was it when he was a constant outlet for anyone in his own half, or when he was carrying the ball up to score in 4 league games that he lacked composure? I’d like to see EO’D and Harrison in the corners and Keith as an attack starter/potential sweeper when defending next year. What’s worrying is we still haven’t found a full back this year in championship in my opinion. I would be looking were I Horan at training Cunniffe into the position over the winter and league going forward. He definitely ticks all the boxes for the role. With the right guidance, I think he could definitely do a job..